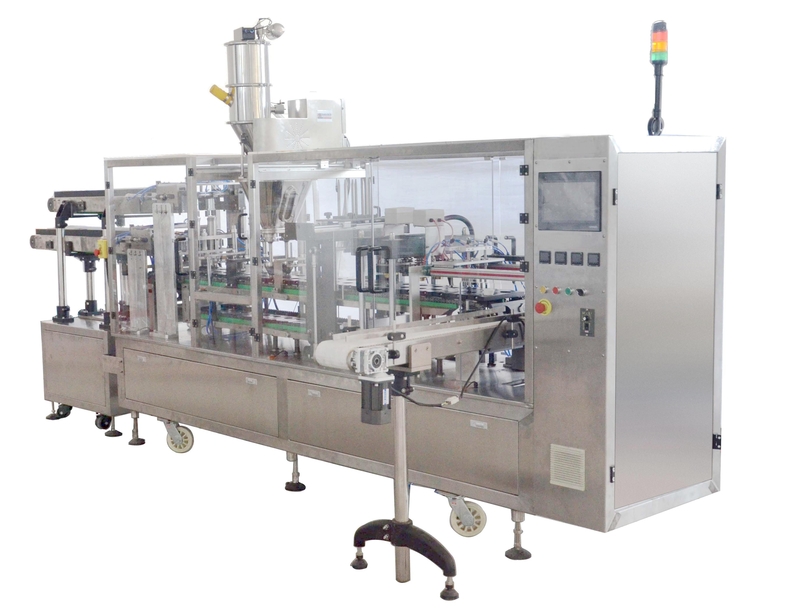 SDX-1P model is full automatic k-cup filling and sealing machine 25 CPM with filter inserting option. Rotary type machine very easy and convenient to the operation, small footprint perfect for space limited production area. Heavy duty constructed, stainless still surface, extremely reliable. Full automatic 2 line filling and sealing machine with speed production up to 80 CPM available into two modifications. Full automatic 4 line filling and sealing machine with speed production up to 150 CPM available into two modifications.